Kyle Larson has experienced some rotten luck recently in the Monster Energy NASCAR Cup Series, scoring not a single top-10 finish in the past four races. However — and I hope you’re paying attention, Fantasy Live players — Larson thinks his luck may have finally turned around, at least if an iRacing street stock race is any indication. So, maybe it’s worth considering starting the No. 42 at Richmond. The eNASCAR Heat Pro League had some serious at-track presence last weekend at Bristol Motor Speedway by sponsoring Matt DiBenedetto’s car. We’ve got another new scheme aboard our No.95 @ToyotaRacing #Camry for this weekend @BMSupdates! Leavine Family Racing’s eNASCAR Heat Pro League drivers HD Motorsports 1 (Nick Vroman) and ThAbEaR17 (Josh Harbin) had their gamer tags printed across the quarter panels of DiBenedetto’s Toyota in Sunday’s Food City 500 — certainly one of the perks of being selected as a team driver. Get to know our LFR @704nascarheat Pro League drivers. This is Nicholas, he’s 25 and originally from Dundalk, Maryland. He’s been competing in esports for the past 7 months, & the pure competition of NASCAR Heat is what drew him into it. This is Josh, he’s 29 & from Tuscaloosa, Alabama. This is his 1st year competing in esports & he enjoys competing b/c of his love of competition & desire to be the best at your respective sport. DiBenedetto spent much of the race in the top 10 and brought the car home in 12th place. Maybe he spent some time practicing on NASCAR Heat 3 beforehand. 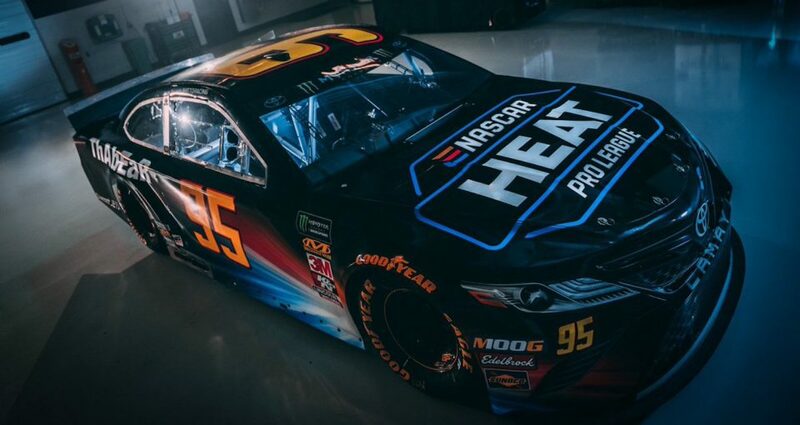 Stewart-Haas Gaming, the esports arm of Stewart-Haas Racing, has asked fans for help determining its eNASCAR Heat Pro League paint schemes. The eNASCAR PEAK Antifreeze iRacing Series makes its fifth stop of the 2019 tour tonight at the virtual Richmond Raceway. TONIGHT, the eNASCAR PEAK @iRacing Series heads to @RichmondRaceway for Round 5. Four-time series champion Ray Alfalla is the defending winner of the race, but the Wood Brothers Racing driver has had a slow start to 2019 — finding himself 11th in points and out of the playoffs after four events. Catch the race broadcast stream on eNASCAR.com (9 p.m. ET). The final week for NASCAR Heat 3 drivers to qualify for the NASCAR Heat World Challenge World Finals takes place this week, ending Sunday, April 14. The top five fastest drivers on each console in virtual Gander Outdoors Truck Series-style trucks at Homestead-Miami Speedway will secure their place in the World Finals on May 5 at Charlotte Motor Speedway. The World Challenge offers prizes to the top finishers in the World Championship race, as well as weekly prizes for each console. At Bristol in 2014, Dale Earnhardt Jr. was involved in a crash that sheared off the side of his No. 88 car. After a valiant effort by his team, the battle-scarred car returned to the track later in the race, donning an “88” made from red tape rather than the original stylized decal. 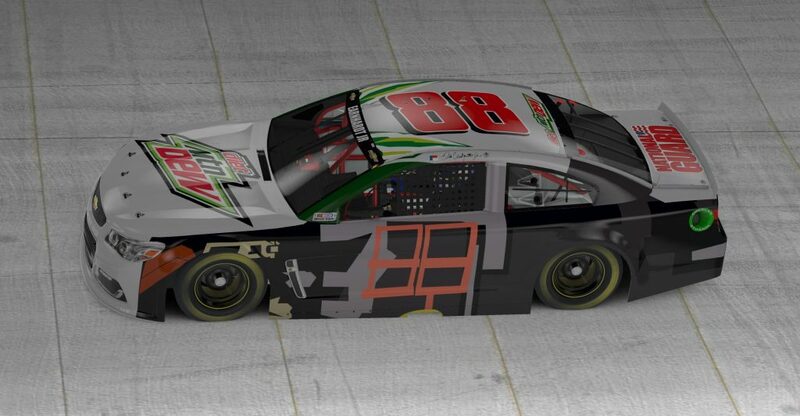 For reasons unknown, Justin M. Williams re-created the post-crash version of Junior’s car for iRacing. Esports has worldwide appeal, as evidenced by some good old-fashioned short-track beating and banging at Martinsville Speedway — Finnish-style. Bet you didn't expect to see that sentence today.